Home » Article » How to become a high performance organization? How to become a high performance organization? To answer the question ‘how to become a high performance organization?’ we first answer the question ‘what is a high performance organization?’. Books and articles about the High Performance Organization (HPO) and derived topics, such as “high performance leadership,” the “adaptive enterprise” and the “high performance workplace,” remain firmly in business public eye. As organizations try to escape from the aftereffects of the recession, and the continuous financial upheavals in Europe and the budgetary vicissitudes in the USA, it is no wonder that more and more managers are turning toward High Performance Organization literature to help them overcome their problems and (hopefully) build organizations that excel. The continuous success of such books as “In Search of Excellence” and “Good to Great” are testimony to this interest. Unfortunately, much of this so-called HPO literature offers merely lots of recipes for success without providing any genuine proof that these recipes will actually work over a long period of time. In addition, much of the High Performance Organization literature recently came under fire because the research described ultimately did not adhere to scientific rigor, making the research results dubious.1 Without clear evidence, organizations cannot trust that they will be investing their time and resources wisely, especially in proposed techniques that are claimed to be capable of improving their performance. 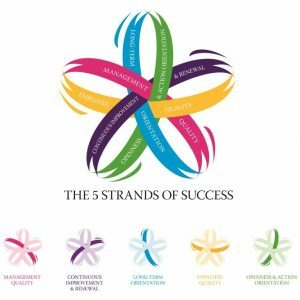 Therefore there is still a great need for a proven and scientifically validated HPO framework which organizations can use, confident that it will support them in their endeavors to obtain sustained excellence. Fortunately, the framework described in this paper can provide in this need. Over a period of five years, I conducted a descriptive review of 290 academic and practitioner publications on high performance,3a review yielding the following definition of a High Performance Organization: an organization that achieves financial and non-financial results better than those of its peer group over a period of at least five to ten years. Following this, for each of the 290 academic and professional studies found, I identified those elements that each study’s authors indicated as being important for becoming a HPO. Because authors usually use different terminologies, the identified elements were then grouped into categories that constituted potential HPO characteristics. For each potential HPO characteristic the “weighted importance” was calculated, i.e., the number of times that it occurred in the studies. Finally, those characteristics with the highest weighted importance were selected as the true HPO characteristics. These characteristics were subsequently included in an HPO survey administered worldwide and encompassing more than 3200 respondents. In this survey the respondents were asked to indicate how good they thought their organizations were at performing these HPO characteristics (on a scale of 1 to 10). Also, how did their organizational results compare to their peer group? These subjective measures of organizational performance are scientifically-proven indicators of real performance. 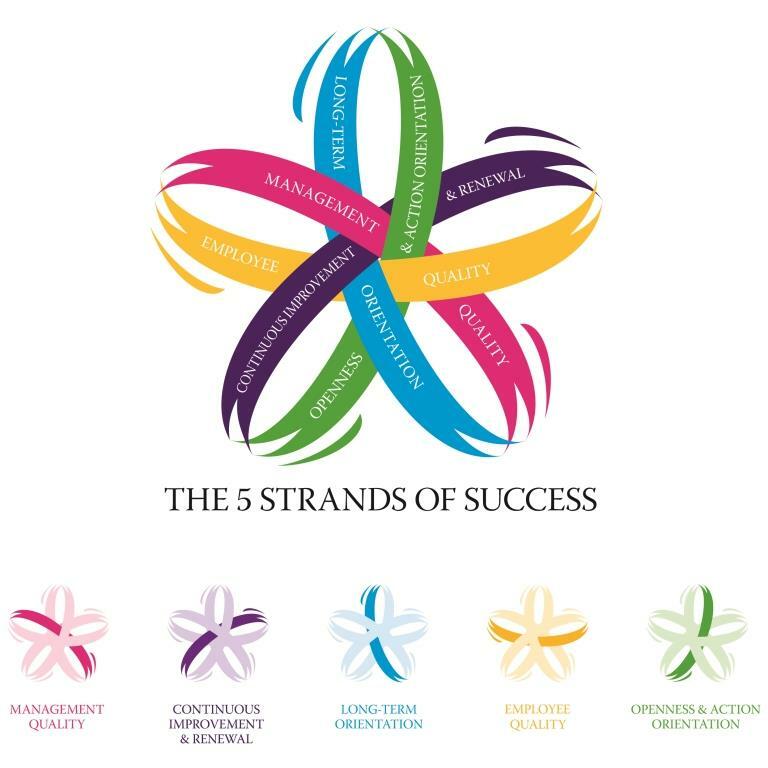 During the statistical analysis, 35 characteristics within the five factors having the strongest correlation with organizational performance were identified as the umbrella HPO characteristics. The correlation turned out as expected: the high-performing group scored higher on the HPO factors and characteristics than the group with lower performances. Thus organizations which pay more attention to the HPO factors achieve better results than their peers, a conclusion that held up for every industry, sector and country in the world. Conversely of course, organizations scoring low on the High Performance Organization factors ranked performancewise at the bottom of their industry. What are the five factors? In an HPO, belief and trust in others and fair treatment are encouraged. Managers are trustworthy, live with integrity, display commitment, and are enthusiastic and respectful. They also exhibit a decisive, action-focused decision-making style. Management however also holds people accountable for their results by maintaining clear accountability for performance. But values and strategy are communicated throughout the organisation, so everyone knows them and embraces them. HPOs foster an open culture, meaning that management values the opinions of employees and involves them in important organizational processes. Making mistakes is allowed and regarded as an opportunity to learn. Employees spend a lot of time on dialogue, knowledge exchange, and learning, to develop new ideas aimed at increasing their performance and ensuring the organization is performance-driven. Managers are personally involved in experimenting, thereby fostering an environment of change in the organization. An HPO grows through partnerships with suppliers and customers, extending long-term commitment to all stakeholders. Vacancies are filled by high-potential internal candidates, and people are encouraged to become leaders. The HPO creates a safe and secure workplace (both physical and mental), and only lays off people as a last resort. An HPO compensates for dying strategies by renewing them and making them unique. The organization continuously improves, simplifies and aligns its processes, innovating its products and services and creating new sources of competitive advantage to respond to market changes. Furthermore, the HPO manages its core competences efficiently, and sources out non-core competences. An HPO assembles and recruits a diverse and complementary management team and workforce with maximum work flexibility. The workforce is trained to be resilient and flexible. They are encouraged to develop their skills to accomplish extraordinary results and are held responsible for their performance. The result is that creativity is increased, leading to higher levels of effectiveness. An organization can evaluate its HPO status by using the HPO Insight™ improvement tool. Via this process, management and employees fill out a questionnaire after which the average scores of the HPO factors are calculated and depicted in a graph. This graph clearly indicates whether the organisation is already an HPO (average HPO score must be higher than 8.5) and which characteristics must be delicately improved to increase the quality of the organization. The graph is discussed in one or more workshops with management and employees, eventually arriving at an action agenda that includes improvement actions the organization needs to undertake to become a High Performance Organization. whether organizations that have applied the HPO framework have been able to improve their results. To acquire (1), several comparative studies were done comparing the HPO and financial results of companies in one sector, as well as comparative studies in which the HPO and financial results of units of one organization were matched against each other. To discern (2), the results of organizations performing the HPO survey at different points of time were compared in a longitudinal research study. The following sections briefly describes the results of these studies. Until now, four comparative sector studies have been performed, with the first one conducted in Vietnam. Since this country joined the World Trade Organization, it has faced a number of challenges to comply with WTO requirements. One of these challenges was to reorganize Vietnam’s banking sector so it would comply with WTO commitments, allowing banks from other countries to be allowed to do business in Vietnam with the same rights and privileges as the local banks. 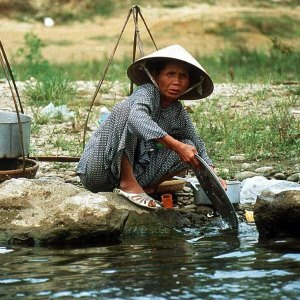 This spurred Vietnamese banks to improve their competitiveness and increase their performance because otherwise they would inevitably lag behind foreign competitors. The research was aimed at finding the factors that make Vietnamese banks excellent. The HPO questionnaire was sent to 26 banks where management and employees filled out the survey, and subsequently the average HPO scores for each bank were calculated and a HPO ranking made. For each of these banks financial data (three years of ROA and ROE) was collected and a ranking of the financially best performing banks was made. This ranking was then matched with the HPO ranking. The matching revealed that, as the HPO definition predicts, Vietnamese banks with the highest HPO rankings also showed the best financial performance, while Vietnamese banks with the lowest HPO ranking showed the worst financial performance. Similar research was conducted in the Tanzanian banking sector where employees from ten banks in Dar Es Salaam received and completed the HPO questionnaire. The subsequent average HPO scores here, calculated for the ten banks, was ranked and matched with their financial performance and, just as in the Vietnamese banking sector, the final matching showed that those Tanzanian banks with highest HPO ranking also had the best financial performance. Tanzanian banks with the lowest HPO ranking displayed the worst financial performance. The third study was performed in a different industry, the manufacturing sector in Tanzania. In this study, ten manufacturing firms in Dar Es Salaam were approached to participate. Employees from these firms filled out the HPO questionnaire and their scores were averaged, as in the previous studies. The subsequent HPO ranking was matched with the financial performance of the ten manufacturing firms and again the matching showed that the Tanzanian manufacturing firms with highest HPO ranking also had the best financial performance, while Tanzanian manufacturing firms with the lowest High Performance Organization ranking reported the worst financial performance. Finally, in the fourth study, two Dutch swimming pools were compared on HPO scores and financial results, with a clear outcome that the highest-scoring swimming pool had the best financial results and also the highest reputation as a client-oriented swimming pool. In conclusion, it can be stated that in all three studies it was found that there existed a direct relation between the HPO scores of organizations in a sector and their financial and nonfinancial results. One of the problems with benchmarking is that organizations have different sizes, strategies, environments, internal conditions, business models and cost structures, which make them difficult to compare. One way to get around this problem of incompatibility is to apply internal benchmarking, defined as the process of identifying, sharing, and using the knowledge and practices inside one’s own organization. One of the main advantages of internal benchmarking is the compatibility of culture within the parts of the organisation and subsequent easier transferability of practices. Internal benchmarking makes it possible for us to evaluate whether there is a relation between high HPO scores and good financial performance, and between low HPO scores and bad financial performance within the units of one organization. To test this, seven studies have been conducted so far, mainly in the Netherlands. In the first study a prominent Dutch bank, one of the largest in the country, participated. This bank had several divisions, one of which sold a broad array of financial services to more than one million clients, both private and business, in four segments: private banking, private individuals, small- and medium-sized enterprises, and mid-corporate companies. The examined division employed over 2,500 people who worked at one of the 200 branches or at headquarters. The market was divided into 13 regions. Clients were serviced by sales teams consisting of a sales force employee responsible for sales visits to (potential) clients, a sales employee who was responsible for inbound calls and visit planning, and a manager in charge of operational support. All teams had an equal number of full time equivalents (FTEs). The sales process of the bank was the same in all regions and the performance of a region was evaluated based on capital achieved in the sales process. The HPO status of the 13 regions was determined by distributing the HPO questionnaire by e-mail among managers and other staff. In the questionnaire the respondents indicated how well their region performed on the HPO characteristics. For each of the 13 bank regions, the average scores on the HPO factors were calculated and an HPO ranking was made of the regions. This ranking was related to the financial performance of the regions. The matching yielded a clear group of HPO leaders with both the highest HPO scores and the highest financial results. The comparison also gave a clear group of HPO “laggards” with both the lowest HPO scores and the lowest financial results. For many of the remaining regions the match between the HPO scores and the financial results was quite close. The other six studies were basically conducted in the same manner as at the Dutch bank. At a Dutch temping agency with five operational units, a firm that daily dispatched and detached temporary workers, the HPO questionnaire was distributed among the employees of the units. An HPO ranking was made of the units and matched with their financial results. The latter were measured by the turnover growth during this period versus the previous period. This matching yielded a clear HPO leader operational unit with both the highest HPO score and the highest turnover ranking, as well as a High Performance Organization laggard operational unit with the lowest scores for High Performance Organization and finances. At a Dutch hospital, four laboratories were examined. These laboratories were each headed by a medical manager and a unit manager and concentrated on a specific medical field, e.g., Radiology, Clinical Chemistry or Microbiology. The laboratories participated in an independent benchmark in which laboratories of all hospitals in the Netherlands were compared on the productivity per employee. The results of this benchmark study were matched with the average HPO scores of the laboratories and the matching showed that the laboratory with the highest productivity per employee also scored highest in High Performance Organization status. For a Dutch university the average HPO scores of its eight faculties were compared with the financial results, absenteeism, student satisfaction scores and employee satisfaction scores of these faculties. The matching showed clearly that the faculties with the highest HPO score also had the highest financial and non-financial results, while faculties with the lowest HPO score showed the worst financial and non-financial results. At a Dutch accountancy agency with seven locations, the HPO questionnaire was filled in at each location. The average HPO scores for the locations were matched with the net operating profit per employee. The High Performance Organization ranking corresponded for almost 100 percent with the financial ranking. A Dutch care giver, specialising in care for the elderly, conducted the HPO survey at its five locations and compared the resulting average HPO scores per location with the financial results and client satisfaction. Again, the location with the highest average HPO score also had the best financial and client satisfaction scores. The final study was slightly different in the sense that it concerns an HPO survey at a multinational. This was a retailer with its headquarters in Europe and operations in Europe, India and South America. Ten countries participated in this research as over 3,000 local managers and store employees were asked to complete the HPO questionnaire. , The resulting average HPO scores were calculated per country and an HPO ranking was made. Interviews were then conducted in selected countries to obtain the background stories to the HPO scores. The EBITA (earnings before interest and taxes) data per employee was calculated for all the countries and a financial ranking was made based on the resulting scores. Finally the HPO ranking was matched with the EBITA/employee ranking, resulting in a finding that the countries with the highest HPO scores also had the best financial results, and vice versa. In conclusion, it can be stated that in all these studies it was found there existed a direct relation between the HPO scores of the units (countries) of an organization and their financial and non-financial results. Several studies have been performed to test whether the HPO framework can help organizations improve their results in such a way that they will become a High Performance Organization. In these studies the organization performed two HPO surveys with an intervening period of at least one year. The aim of these studies was to evaluate whether the average HPO scores of the organization had increased in that period and whether its financial and non-financial results then also had improved. The first study was conducted at Iringa University College (IUCo), a private university based in Iringa in southern Tanzania. The HPO framework was applied at IUCo for the first time in 2007, to identify the HPO status of the university and to determine the required improvement actions. In 2009, the HPO framework was again applied at the IUCo, to evaluate progress. In two years time, it was found that IUCo not only had improved its HPO status but also its financial and non-financial results. IUCo rated an average HPO score 1½ points higher and the university was now financial stable. Before long, lecturers and students who originally started at other universities transferred en masse to IUCo. Also, IUCo’s alumni began attaining better positions and functions in the country, and the general reputation and standing of the university increased noticeably. IUCo achieved these results by dedicating itself to working on achieving its ten strategic objectives formulated in the 2007 workshop. The second longitudinal study concerned Nabil Bank, one of the premiere financial institutions of Nepal.13 In 2007 the bank agreed to participate in the HPO research, and managers and employees at headquarters in Katmandu then filled out the HPO questionnaire followed by interviews to obtain more information on the bank’s strategy and operations. In 2008 the research was repeated on a much larger scale. This time the HPO questionnaire was translated into Nepalese and distributed among the entire Nabil Bank organization (headquarters and branches). Again, interviews were held but which this time focused on the main differences in scores between the 2007 and 2008 HPO questionnaires. Comparing these scores in a graphical form, it turned out that the shape of the graphs was virtually the same, indicating that the researchers were dealing with the same organization, although the average HPO score was 0.4 point higher. At the same time, Nabil Bank’s financial performance had improved and the bank now held first place in many financial comparisons of banks in Nepal. Although a 0.4 increase in the average High Performance Organization score may not seem that big, it must be realized that transition to an HPO takes on average three to five years. Therefore an improvement per year of 0.3 to 0.5 points is viable, and in this light Nabil Bank was definitely on its way to becoming a full-blown High Performance Organization. The third study concerned three HPO surveys at the same organization, the ATLAS Consortium which consisted of four leading British IT organizations (HP, Fujitsu, Cassidian, and Logica) who had been working together since March 2005 designing and implementing the United Kingdom Ministry of Defence’s Defence Information Infrastructure project. The first HPO survey at ATLAS took place in the period April to July 2009, during which 902 managers and employees completed the HPO questionnaire resulting in an average HPO score of 5.6. This showed that the consortium at that time classified as a medium to low performing organisation, which matched with the problems the consortium had been having in delivering applications on time and with the required quality. In March and April 2010, ATLAS conducted the second HPO survey, with 1,185 respondents and an average HPO score of 5.9. The turnaround came during 2011 as the third HPO survey, conducted during June – July 2011, not only had 1,903 people participating but also yielded an average HPO score of 6.5. It was concluded that the consortium had found its way up! The core group of people who participated in the HPO surveys all three years saw real improvements and new respondents also “felt” like a better organization. This better organization soon manifested itself in better relations too and in more trust between the consortium partners, in a higher engagement of people who visibly showed more pride about working at ATLAS, in more and especially a higher quality communication, in more applications delivered to more locations against lower costs, and in external audit bodies who now saw ATLAS as an example of a great performing consortium. In the fourth study, Grohe Netherlands, a producer in the building sector famous for its taps, undertook HPO surveys in 2008 and 2010. In between these surveys, the company increased its average HPO score 0.2 point, a figure that at first glance may look almost negligible. However, the building sector during this period suffered from a severe recession due to which the industry itself came virtually to a standstill. Many competitors either suffered huge losses or even went bankrupt. 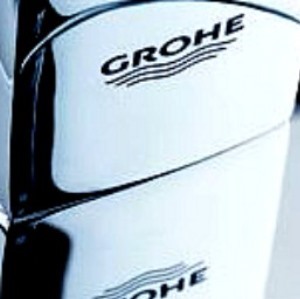 Grohe Netherlands however won market share and increased its profits. In the fifth study it was evaluated whether five elderly care organizations in the Netherlands, which were collected in a network in which they jointly worked on improving their High Performance Organization status, had indeed done so in the period between 2009 (the time the first HPO survey was conducted) and 2011 (the time of the second HPO survey). Of the five elderly care organizations, one had the same HPO scores in both years while the other four organizations all had improved their scores with on average 0.6 points. These four organizations all also had improved their financial results considerably, thus showing that the HPO Framework is valid in a not-for-profit environment. In conclusion, it can be stated once again that a higher HPO score manifested itself as better organizational results. This research over time thus shows that organizations obtaining a higher score in their subsequent surveys were able to achieve higher financial and non-financial results than those achieved earlier at the time of the first HPO survey. Conclusion: how to become a high performance organization? The case studies described in this article illustrate how the HPO framework can indeed help a company or a nonprofit organization to become a high performance organization. Not only can this framework, based as it is on a solid academic foundation that has been presented numerous times to academic conferences and published in several academic journals, help organizations pinpoint its status and its strong and weak points, but the framework also provides clear indications and suggestions for organizations in terms of the issues needed to address and processes so as to achieve HPO status. In this way, the HPO framework adds focus to improvement efforts, though with the caution that there is no such thing as “the company equivalent of El Dorado, the golden organization that continuously performs better than the market.” This has never existed, it is a total myth.” Yet the HPO framework has now been so extensively tested in sector comparative studies and in longitudinal research that it can be safely stated that it provides more certainty than prior HPO studies in that an organization will clearly be able to improve itself when working delicately on the identified five HPO factors. Contact us for more information and options! De cookie-instellingen op deze website zijn ingesteld op '"toestaan cookies" om u de beste surfervaring mogelijk te geven. Google Analytics cookies worden gebruikt, maar zijn volledig privacy vriendelijk ingesteld. Als u doorgaat met deze website te gebruiken zonder het wijzigen van uw cookie-instellingen of u klikt op "Accepteren" hieronder dan bent u akkoord met deze instellingen.